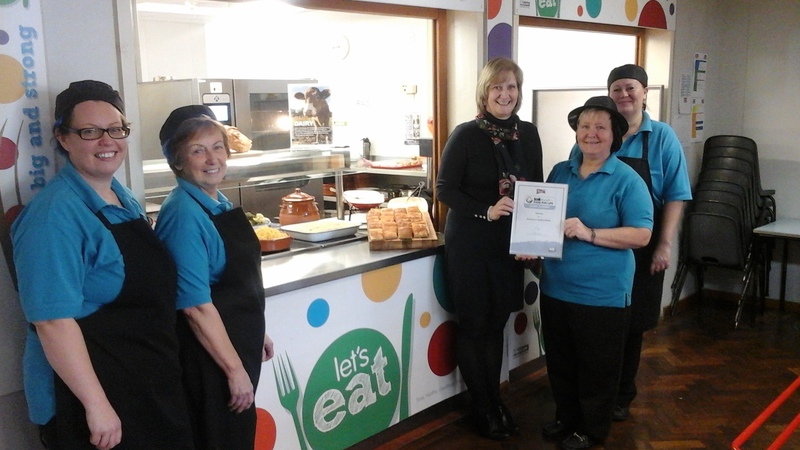 Entrust in Partnership with Chartwells was awarded the retention of The Silver Food for Life accreditation on 28th January 2016 after an inspection by the Soil Association at Barnfields Primary school in Stafford. “Licensee was very well organised with evidence to hand. It was evident that Entrust in Partnership with Chartwells is passionate about the Catering Mark (CM) and delivers a high quality service. The kitchen manager was organised and knew about the standards and criteria of the CM. It was great to see retro style serving dishes at the serving hatch and children asking for roasted vegetables. Presentation of the food was of a very high standard.